A London woman who sent her teenage son to their native Nigeria because she disapproved of his lifestyle has been jailed for eight months. Edirin Onogeta-Idogun, 17, from Newham, flew from the UK to Nigeria last July. His parents Lydia Erhire and John Idogun were issued with a court order to return the boy, who is believed to be with his father in Lagos. When they failed to do so, Mrs Erhire was convicted at the Old Bailey of being in contempt of court. Edirin was born in Nigeria but moved to London with his mother seven years ago. 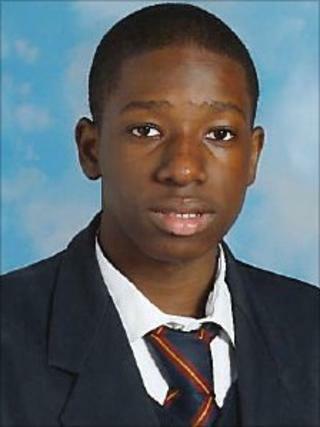 He had been studying for his GCSEs and had been due to transfer to a college in Hackney to study business and media. Last year he feared he may be taken to Nigeria and forced to marry against his will, his solicitors said, and a Forced Marriage Protection Order was issued on 8 July. He attended school for the final time on 12 July and it is thought he flew to the African country about four days later. The High Court ruled Edirin was a resident of England and was entitled to continue to live there. His removal from England was contrary to the protection order and he was at "significant risk" while in Nigeria, it decided.